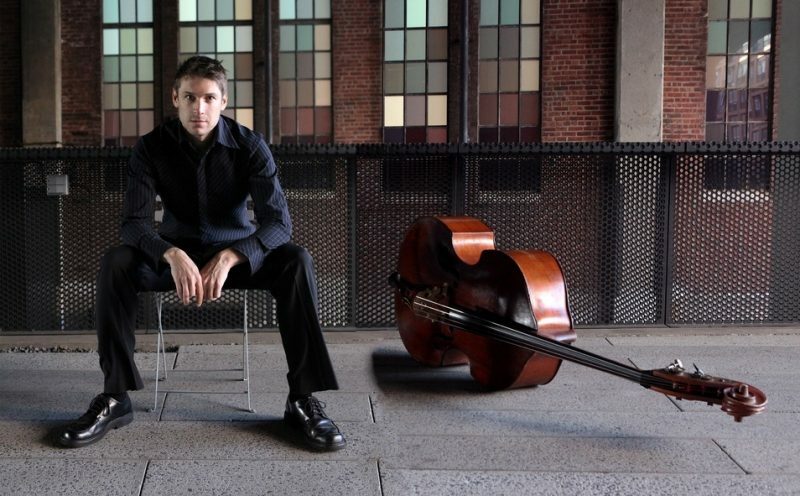 A fixture on the New York City jazz scene since the early ’90s, bassist Ben Allison was one of the founders of the Jazz Composers Collective, and has since gone on to record and perform as a leader of his own groups. On his 10th and most recent album, Action-Refraction on Palmetto, Allison explores the music of composers and artists from diverse genres, including classical (Samuel Barber), jazz (Thelonious Monk), rock (PJ Harvey and Neil Young), soul (Donny Hathaway) and even the most commercial pop (The Carpenters). Allison’s working band features Steve Cardenas on guitar, Michael Blake on saxophone and Rudy Royston on drums, all of whom perform on the album, which also features Jason Lindner and Brandon Seabrook. In an expansive and candid conversation, Allison spoke with JT about the genesis of the new album as well as about the importance of melody and why the Jazz Composers Collective disbanded. What’s the significance of the title Action-Refraction, from your perspective? It has a nice ring to it, but jazz album and song titles can be so cryptic or tangential. I have a somewhat scientific view of the world. I’m an armchair scientist and I’m fascinated by the natural world. So the last few albums have had references to that part of my life. The challenge I set for myself on this record was to rework some music by other composers. I was thinking of a scientific analogy and the word “refraction” came to mind-the idea of breaking the tunes into their constituent parts and then reassembling them in some way. That does make sense, unlike so many jazz titles that have a random or tossed off quality. I travel in an interesting world where most of the music that I’m involved with doesn’t have lyrics and there’s no singer. We’re thinking abstractly most of the time. I don’t tend to think of lyrics when I write tunes. Usually I’m writing something that has a visual aspect to it. I’m concerned with the mood or vibe (I still use that word!). I want each tune to have its own character and it tends to be tied to a visual like a film score. The last thing I do is title it, so the title will be my chance to throw out one or two words that are suggestive of something I’m thinking about. You feature covers on this CD-from PJ Harvey and Neil Young to Thelonious Monk and Samuel Barber. What was your methodology for picking them? Was it more about what you could do with them than what was special about their original performance? Or did you just pick stuff you heard when you were growing up? My initial criterion [for picking a song] is the feeling that I wish I’d written it. There needs to be a certain connection with it, not only that I wish I’d written it but that if I had written it, I would have done [something] differently so here’s my chance to rework it. Some of the tunes on this record were dissected pretty heavily and I tried to bring something totally different to it. Others were more conceptual in how I approached it. For instance, the PJ Harvey tune “Missed”-I didn’t do a lot to rearrange it. I was trying to set a mood. That guitar riff in the beginning sounds like an AC/DC reference. Actually, that’s in her original version. It’s a folk-rock song in the sense that it has fairly simple chord changes and the lyric is stripped down and bare. It has the typical kind of quirk that I find interesting. A lot of my favorite composers and songwriters write little turns of phrase into the tunes. Her rhythmic quirk is a little unusual. It’s two bars of three and a bar of five, which is not typical for a pop song. So that was one thing I heard that I liked. It really does sound like a metal band riff. At this very moment JT’s managing editor Evan Haga is in the process of doing a story about how heavy metal players have migrated to playing jazz and how the two seemingly disparate forms connect. It’s been interesting to explore that connection. That is a sign of the times for a lot of jazz musicians of my generation. Jazz has always been an evolutionary music that incorporates lots of different references from other genres, whether it’s Dizzy and Afro-Cuban music or Stan Getz (or Charlie Byrd) and bossa nova. There’s a lot of cross-fertilization. We live in a time when as musicians we have access to every conceivable kind of music almost instantly through our iPods. As a modern musician, I can’t help but be influenced by all that. I want to take my favorite sounds and bring them into my music. That’s another reason I wanted to do a cover project. In the past I’ve been less explicit about my influences. I’ve been almost self-consciously careful to avoid referencing them in obvious ways. I pull them in and try to make them even less obvious. In this case, I’m directly referencing them. I want to do other people’s music, but somehow reimagining it in a way that’s personal and somehow makes it our own. I want to put our stamp on it and make it feel like any one of us could have written it. It’s not as uncommon these days for jazz people, particularly ones from a younger generation, to do rock tunes, with Radiohead being a current favorite. What sort of popular music did you listen to growing up? For many people, including most non-musicians, whatever they heard when they were 15- to 21-years-old tends to stick with them forever. When I was 15, 16 or 17 I was actually extraordinarily hip-much hipper than I am now [laughing]. At that point, I was listening to a wide variety of things that were probably very different from what my friends were listening to. But when I was a young kid, like everyone else I was listening to the Beatles and Joni Mitchell and a good amount of European classical music. I didn’t really discover jazz until I was 15 or 16 when I went to the Educational Center for the Arts, which was a great performing arts high school in New Haven. That’s when I got exposed to different types of music. I didn’t grow up listening to jazz. I had to go find it. My first professional experience was playing in a salsa band, because salsa was really huge in New Haven at the time. I took a great class at Yale in 20th century music and the teacher of that class exposed me to tons of things that I never heard before. New Haven was and is a really hip place where you could hear lots of different types of music that might not be top of the hit parade. Now in the middle of my career, I’m referencing things I loved as a kid. That’s part of my attraction to the rock element because that’s what I grew up listening to-AC/DC, Led Zeppelin, the Who. You get bitten by the jazz bug at some point and all of a sudden this world opens up. It’s such a large world with a rich history. There’s so much to listen to and explore. One musician leads you to another. There aren’t many bands with set personnel. You’re going musician to musician and looking at every group they ever played in. It’s this twisting and beautiful road. What happened to me is that I started going down that road and for a few years almost lost track of just about everything else. Did the band look askance at any of the choices, like the PJ Harvey tune or the Carpenters hit? No, I’m lucky in that sense. I tend to gravitate toward musicians who have that open mind-set. Back in the 90s we started the Jazz Composers Collective, a non-profit composers organization. Our focus was on new music. Specifically, we had a broad definition of what music is and what jazz could be. Musicians that have that mindset tend to find each other. All the guys that I like to play with listen to all types of music. I would say that this particular project started when I met Steve Cardenas. Steve is a guitarist who has been on the scene for a long time and played with so many different musicians over the years. He was subbing in a band that I play with and in his first solo he referenced George Harrison. You don’t often hear those kinds of references coming from jazz guitarist. Immediately, my ears pricked up and I looked at him and we started cracking up. On the break we started talking and, man, it was just… Then I found out that he was such a nice person too. That sealed the deal. I thought, “I want to create a group that really features Steve and gives me a chance to access the music that I loved when I was growing up.” Now I’m looking at these tunes through the lens of a jazz musician who has been on the scene for 15 years and doing original music and so on. That’s where this project started-with the Cowboy Justice album. In my mind, this [Action-Refraction] is really the fourth record along this trajectory, with the focus on the guitar and the American rock references. The climax of the album has got to be the Carpenters hit “We’ve Only Just Begun.” You really embrace the melody and then slow and stretch it out and even find a bubbling rhythm underneath in the chorus. And you enliven the bridge with those slightly off-kilter harmonies! That song and “Some Day We’ll All Be Free” [by Donny Hathaway] are the two tunes on the record that are the strongest statements about where I want to go with this music. I’m not embarrassed to admit in public that I do like the Carpenters. There is a cheese factor that’s pretty deep, but you can revel in the cheesiness. At the same time, it’s a nice tune that’s beautifully crafted. The Carpenters’ recording of it is really well-crafted with a lot of subtle details and orchestrational things. You can question the taste, but you can question the taste of just about anything. There are people doing “hit music” that really push the boundaries of taste, all the time, in my opinion. It’s what you do with it and what parts you want to pull out, almost using that as a statement in and of itself. You can take that song and do your own thing with it. One of the things I wanted to do was to see if we could take that beautiful melody and make it more aggressive. What would that sound like? Sometimes, jazz musicians, and I’m certainly guilty of this, can take all this stuff too seriously. I’m a fan of bringing some humor into the process and reminding ourselves as often as we can not to take it too seriously. Man, when we play live, we always have fun. Another part of what we are all dealing with is the notion of mixing and matching genres in improvisational ways. Historically, you think of the jazz solo and form as a stated melody and repeating harmonic form so that somebody can improvise new melodies over the top. What we’re dealing with today is that, even though that process continues, we’re also trying to find ways to improvise orchestration. We’re trying to find fun ways to mix in references to other genres, almost in a collage-like way. How many references can you fill in? I’m not talking about the old-school way of quoting tunes. It’s more subtle than that. It’s referencing genres and the breadth of music we’re all exposed to and figuring out ways to mix and match them like a DJ.. There is a strong sense of melody on this album. Even with the Monk tune. Monk is thought of as this off-kilter sort of composer, but his tunes were often very melodic. Some of those Monk tunes are uber-catchy to the point of begging lyrics. Even before this record, you’ve always shown a keen sense of melody. I’m glad you brought up songs, because most of the tunes on the record, with the exception of the Monk tune and the one original by me, are songs with lyrics. My approach to writing, at least in the beginning, entails sitting down with the bass, playing and singing along with it. Or playing the guitar and singing along with it. I’m taping it all. No one will ever hear those tapes because they’d be pretty humiliating. The point is that it starts from the ideas that come out naturally, vocally, if you’re by yourself and singing along with it. That process started a few years back because I found myself writing melodies that were hard and snaky. I wanted to see if I could get to melodies that were interesting and fun to play, and would be more songlike, almost as if they could have lyrics. The best way to do that was to actually sing them, because my singing chops are as poor as you can get, and I’m only able to sing simple things. I think that’s had an effect on what I’ve written. Maybe we can produce a special “Sing Off” type of show, with you, Keith Jarrett and some other sing-along-with-their-playing jazz musicians as contestants. I don’t think anyone would turn around [laughing]. So often that melodic approach is lost in modern jazz. It’s rare that I hear a tune that’s hummable for want of a better word. Why do you think that is? I think that there has been a contingent of musicians who write very complex and hit-driven music. I’m not talking about radio hits, but rather rhythmically-punctuated hits. 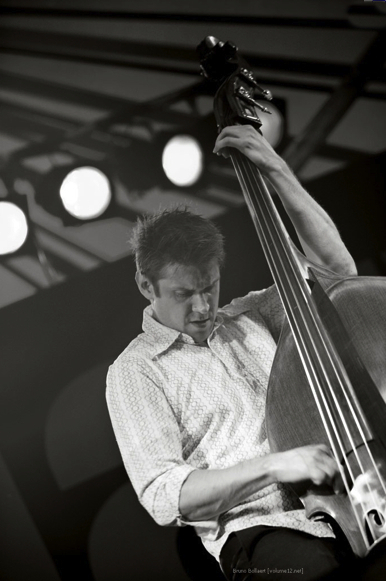 There are a lot of leading jazz luminaries who write very complex music. I think it’s partially a stylistic thing. That’s part of the modern story. There is another contingent of musicians who are approaching it in a different way and I think I’d be part of that camp. It’s not as big a camp and I’m not sure we get the same kind of attention, but it’s there. I think it starts with your personality and what you try to do with music. I’ve always had one foot in that song side, even though I’ve never had a vocalist in my group. The reason I’ve never had a vocalist is that it’s such a huge step. I feel so emotionally connected to that. I almost need the perfect singer. I have to figure out a way to get vocals into this music. It took me a long time to get to record a Donny Hathaway tune. It’s that personal. The older you get, the more confident you get. For me, writing simple music is riskier than writing complex music, because musicians sometimes think that making music more complex is going to make it more interesting. To a certain extent, that’s true. But I’m fascinated by really simple melodies that you want to hear more than once. How does John Lennon write a three-chord tune and 35 years later, I’m still interested to hear it? I don’t know. When I leave a concert, I leave in one of two ways. One, I leave saying, “Wow, that guy played some stuff I could never play.” Or I leave feeling emotionally inspired. At the end of the day, I prefer the second one. If I’m listening to a piece of music and the only thing I’m trying to do is figure out the time signature, it doesn’t sustain my interest. How do you think us non-musicians feel? Yes, that’s the interesting thing. For most non-musicians they don’t care at all about time signature. They just go with how it feels and how people play. At the end of the day as a musician, I always want to try to keep that in mind. What would this sound like if I had no idea what was happening with the mechanical and technical side of it? If I was just hearing it out of the blue, how would this sound? I like thinking about music this way. As a musician you can get locked in your own head. You start thinking about things. It’s like being a writer and you’re worried about grammar. At the end of the day, you just have to write something that people will want to read, that tells a story in a new way and draws the audience in. The challenge of writing with your own voice is similar to the challenge of playing with a unique sound. You would think so. My question is: When did that become de-emphasized in the jazz tradition? At what point did becoming an individualist not matter as much as being technically proficient? The rarest examples are of artists who are at the top of their craft technically and have original voices, which are striking and personal. That’s the Holy Grail of musicianship. Some people point to the growth of jazz education which has produced so many technically accomplished musicians, but can’t necessarily teach individuality. Well, I think that may be part of the story. And I am a product of that system. I was in one of the earlier generations of jazz education students. The real beginning of jazz education predates me, but coming up in the ’80s there weren’t too many schools that had jazz departments. NYU for example had less than 20 [jazz] students. Now they have over 150. Although small, I got to study with music greats like Joe Lovano, Jim McNeely, Steve LaSpina and Denis Irwin. But it had a less academic feeling about it. For instance, there was no set curriculum. It’s a totally different world now. When I went to college, the last thing we did was “Giant Steps.” Now that tune is more like a prerequisite. These kids are coming in with incredible abilities. And with the amount of energy they’ve had to expend to get to that sort of proficiency, my fear is that sometimes it’s at the expense of finding that original voice. The emphasis is different now. When you play live you seem to have a good time leading the band in a physical way. How do you see yourself as a leader? I like to leave a lot of room for improvisation in my music and my tunes. What we’re improvising is more than solo notes-we’re improvising orchestration and even forms at times. There are many transitional periods in my music, because I tend to write sectional music where one section could intentionally contrast to adjacent sections. Negotiating those transitions is risky. They’re not something we can rehearse to perfection. They’re moments we leave to chance every night. I really love the idea of all of the musicians in the band having free rein to direct the music depending on who wants to say something. Anyone can push it. I think basketball is a good analogy, because you have role players who are supposed to do certain things, but on any given night you never know who’s going to take on a new role or step up in an unexpected way. You want to have that flexibility. Everyone in the group is a bandleader in their own right, so they’re thinking about the tune in the moment, rather than just what they’re going to do on their solos. I’m counting on them to put flesh on the bones. You currently have a weekly night at Kush, a sort of residency at a small club in NYC. How are you approaching those shows? For me it’s a chance to get together with friends and play in a real casual environment. A lot of what we do at this stage of our careers involves larger venues with a certain amount of pressure. I’m a partner in this club and have been for ten years, so it couldn’t be a better scene. The idea started originally last fall as I was preparing to record this album and trying to find ways for all of us to get together and work on the music. I had the thought of breaking the group into trios with various configurations of the musicians who were going to record on the album, all the while working with the repertoire. Trying different things. It’s a little bit of a throwback to the days of the Jazz Composers Collective, when we would bring in musical ideas and work them out in rehearsal. In this case, we were just doing it in public. But it’s a very casual gig with mostly friends and like-minded musicians. It’s a really great scene on Tuesdays. We’re having fun. It’s open-ended. Tours come and go and sometimes we have to go out of town, but it’s working out so far. You mentioned the Jazz Composers Collective, which you helped to form along with people such as Frank Kimbrough, Michael Blake, Ron Horton and Ted Nash. What happened to the Jazz Composers Collective? The Collective ran for about 13 years. It wasn’t short-lived. We had a long rich history. We started the Collective in the early 90s, around 1992. Previous to that we’d be getting together in the basement of the school where I was teaching at the time to work on new music. The criterion to gain entry into the room was that you had to bring something new. That was the goal we set for ourselves. There would be a slightly different group of musicians each week. Over a period of a year or so, it became a regular hang and we were really enjoying working on each other’s music. Then we had the idea of bringing it out to the public and making it a concert series. We liked the concert-like atmosphere. We had been playing in clubs like all musicians, but it was nice to do something in a more controlled environment because for one thing we were writing music with extreme dynamic range. I remember that I had written out a piece that involved two bass clarinets breaking down and playing together. We did it at a club and just when that section came up, the bartender turned on the margarita machine and it was such a groove-busting and demoralizing moment. That was actually one of the real impetuses for the Jazz Composers Collective. If I could put it as a moment in time, that would be one of the big ones. Meanwhile, guys were creating a lot of original music, so let’s be idealistic about it and create the perfect stage for ourselves. Let’s build an audience and bring attention to all this music that’s happening in New York City that people wouldn’t otherwise hear. Let’s give composers on the scene a deadline. You’ve got your concert in May and we need an hour’s worth of new music-Go! Let’s publish a newsletter where we can talk about what we’re doing. Composers can write about their music. This was kind of the precursor to the blog. If we were doing it today we’d be all over social media. Let’s invite as many people-musicians and audience members-into it as we can. We were really keen to build an audience for our brand of creative music. We started our annual concert series in 1992 and then in 1996 we moved the whole organization and series to the New School, where we were in residence until the Collective was dissolved in 2004-2005. The reason we dissolved it was that we felt the Collective had served its purpose. We were, as individual composers, more active than ever. We were on the road. Everyone was leading bands, making records and touring around. I felt strongly I’d rather dissolve the Collective when we were really rocking than let it peter out from lack of attention. The Collective was a labor of love and it required a lot of work. We were all getting busier and busier. It had been a great run, so we decided to dissolve while it was still fun and great. Your organization may have had at least an indirect influence on organizations like Search and Restore, Ars Nova Workshop and other groups presenting new music. I’d be happy to think that if we had an influence that that might be true. When we put it together, we realized that we were not the first musicians to do this. I was researching and talking with musicians who had done similar collectives in the past, talking about their successes and failures. And I realized that we had rediscovered a basic truth about how musicians can work together and what can happen when we pool our collective energy. Another initial inspiration for the Collective came when I was reading some correspondence between Anton Webern and Arnold Schoenberg. They sounded just like us. The stuff they were dealing with was exactly the same stuff we were dealing with-specifically, the feeling that their music didn’t have the proper context. For them it would be when there was an evening of Bach and there would be a Webern piece in the middle. The audience would flip out because it was out of context. They had this idea to create their own context, called The Society for Private Musical Performances. It sounds a little elitist but it’s actually quite the reverse. By “Private,” they meant outside the usual hierarchical and ironclad scene of European classical music. It was private because they would get a sponsor-some rich person on the scene-who had a salon or big room where they could set up and play their music. Even though the Collective is gone and I don’t know if anyone remembers it or not, the spirit of that sense of collaboration and focus on new music and the idea of mixing of genres-all those philosophical points are still very much in play with the musicians that were involved. They certainly are for me. My memory is that you had some mad skills with computer programming-that you were a website developer who did your own site pretty early. Is that a myth or true? Well, my skills were rudimentary, but back then the web was rudimentary. I put up the Collective website myself in 1995 and I remember calling Yahoo and asking the guy who answered the phone to list us. It was probably some guy in a dorm room back then. He asked me to give him a paragraph of what we did and he would put us on the site. This was the 90s. Nobody had any idea of what might happen. As this music industry undergoes all these changes and labels come and go (mostly go), you’re left with the question of how to reach those people who may love your music. The connection is increasingly streamlined between those people who make the music and those who listen to it. I think this model is well-suited for the jazz industry because it’s smaller and it tends to be more personal. I remember when I first moved to New York to go to NYU, two doors down from my dorm Kenny Barron and Ron Carter were playing as a duo at the Knickerbocker. My jaw hit the floor seeing their names on the chalkboard when I walked in. I remember that I talked to Ron Carter. Jazz has always been a very accessible music in terms of the musicians. It’s mostly intimate and most musicians are happy to talk. It’s not like we’re jumping into helicopters and whisking away from the stage after we do a concert. So it’s a good model for this direct-to-fan approach. Listen here to Action-Refraction via streaming audio player.